Can we declare constructor on abstract class in Java is follow-up of other similar Java interview questions e.g. Can we override static method in Java?. Why does interviewer ask this questions? Mainly because, trying to confuse programmer with the fact that since an abstract class can not be instantiated, why abstract class needs constructor. In this Java Interview question article we will see that Abstract class can have a constructor in Java. Why can an abstract class have a constructor in Java? 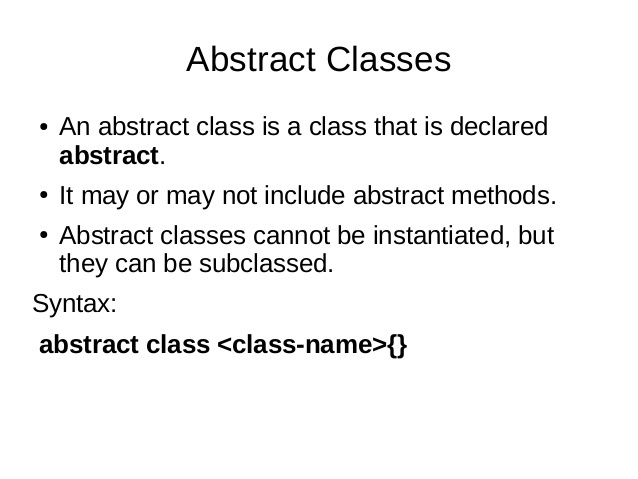 Now if we say we can not create an instance of an abstract class then why do Java adds a constructor in the abstract class. One of the reasons which make sense is when any class extends an abstract class, the constructor of sub class will invoke the constructor of super class either implicitly or explicitly. This chaining of constructors is one of the reasons abstract class can have constructors in Java. * Simple Java program to prove that abstract class can have constructor in Java. In this example Java program, we have an abstract class Server, which has a constructor with one parameter, which accepts the name. Subclass provides that name to superclass while creating a concrete instance of Server and overriding abstract method starts(). Since this program compiles and run fine you can definitely say abstract class can have constructors in Java. since the abstract class is not initialized - there would not be any memory allocated since there is no object out of it right? 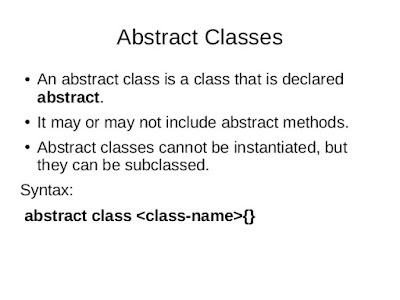 if the variable in abstract class is private, then where will it be stored? private variable would be created in the memory when a concrete class gets created by using the abstract class, it is just you cannot access it without a getter method. For more questions like this you can take a free test on our website.